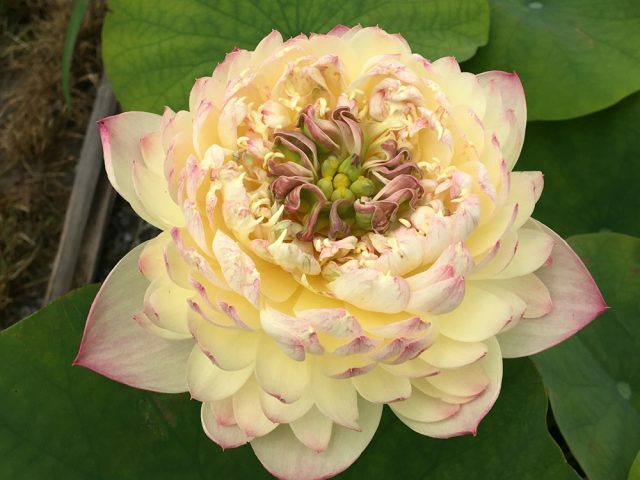 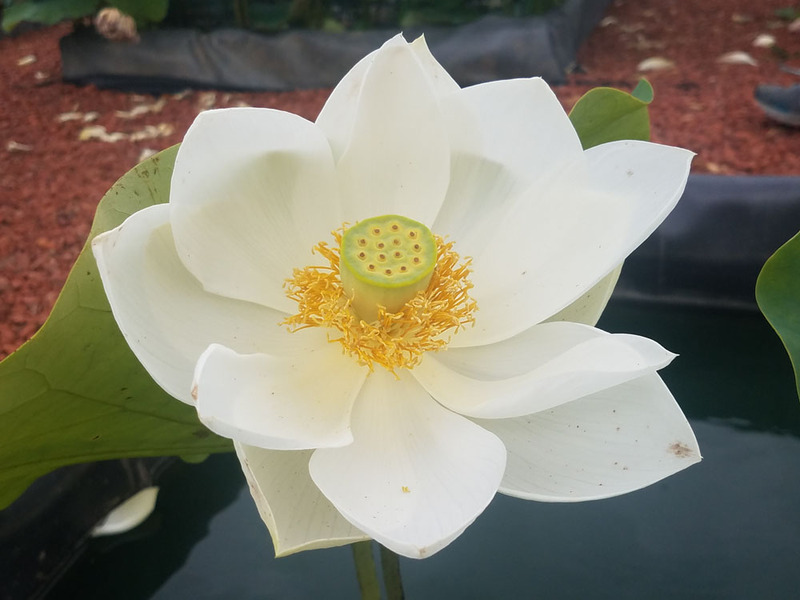 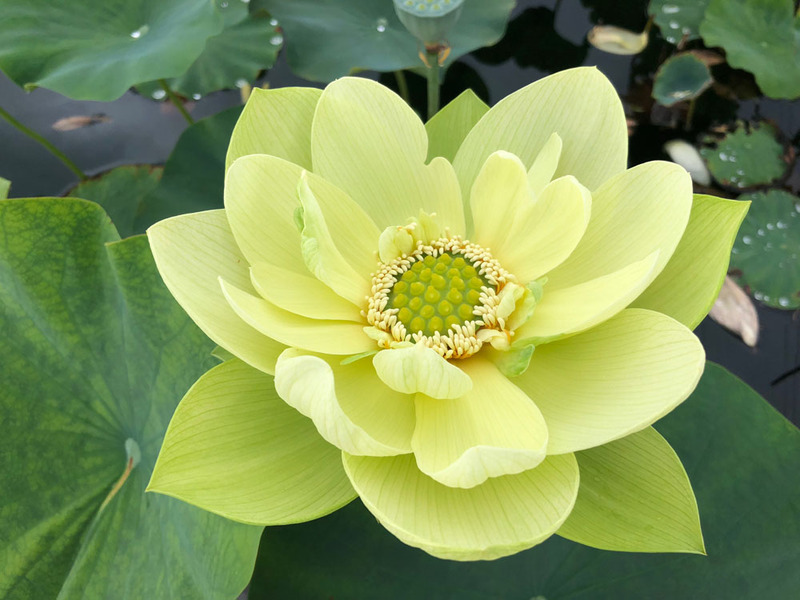 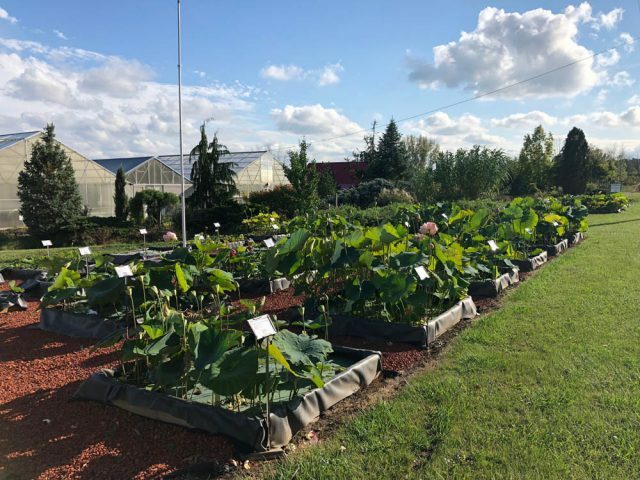 Lotus Paradise, at Bergen Water Gardens & Nursery, is the first International Waterlily and Water Gardening Certified Nelumbo Collection of Excellence. 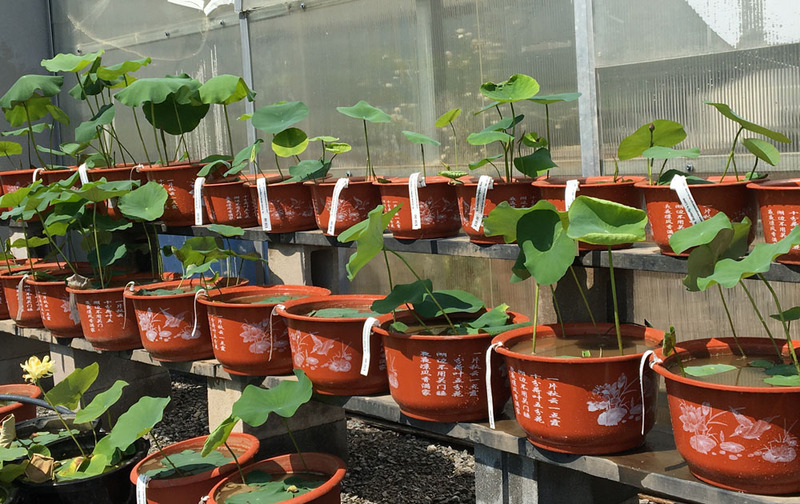 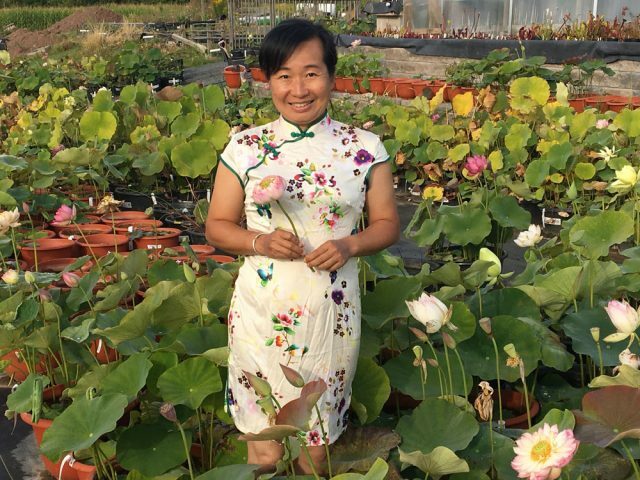 Larry and Lili Nau have assembled an impressive collection of Chinese lotus over the past 5 years. Eighty varieties are designated as the IWGS Collection of Excellence but close to 400 varieties of lotus are growing on the property. 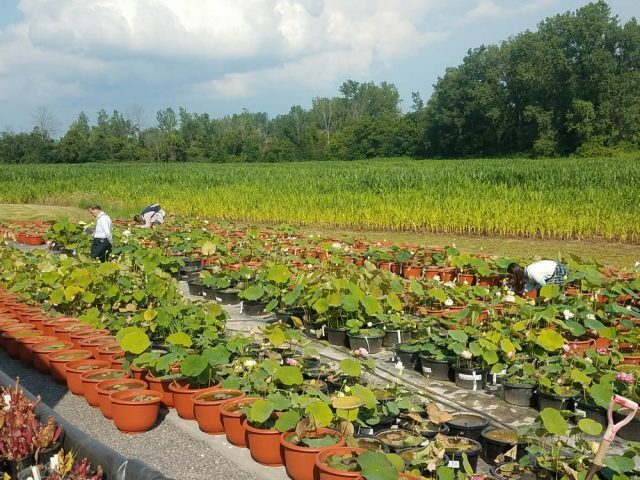 The collection is located at 7443 Buffalo Rd Churchville, New York in the United States. 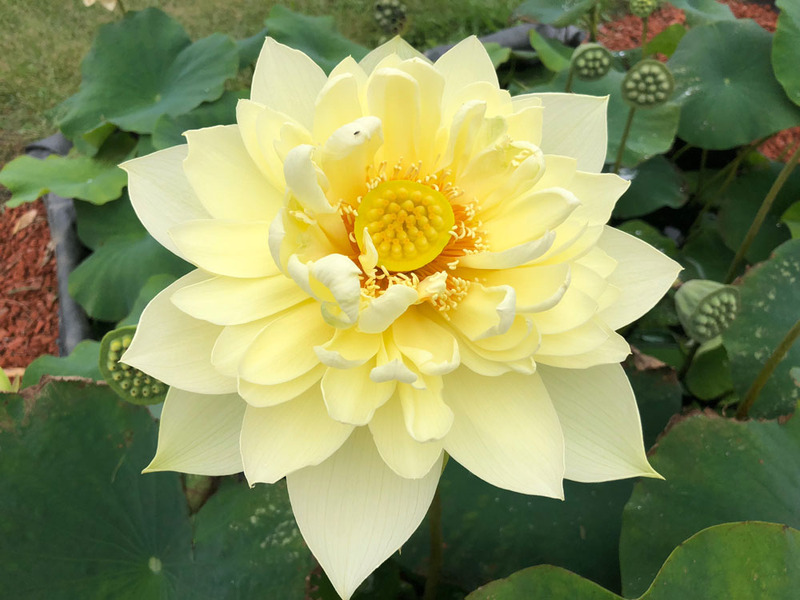 The lotus are in bloom from late June until the end of September; with August traditionally being the peak blooming season. 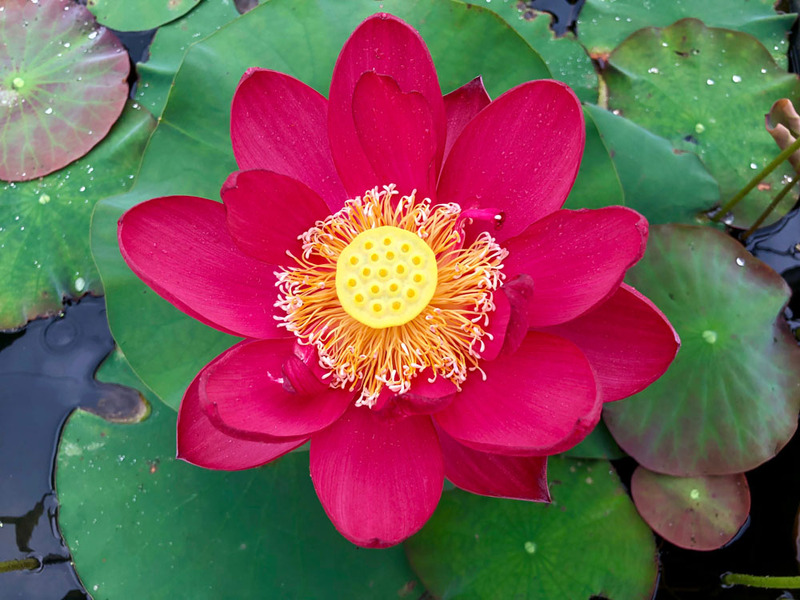 As of 2019, there are 50 - 5 ft. x 5 ft lotus ponds, with one of lotus variety in each pond. 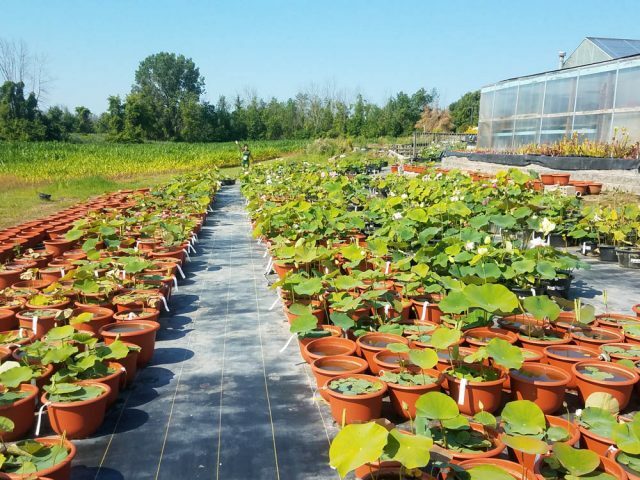 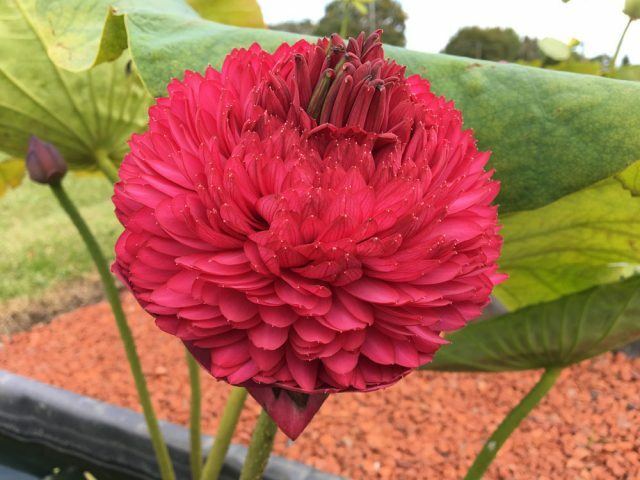 There are hundreds of varieties grown in pots and in display ponds throughout the property. 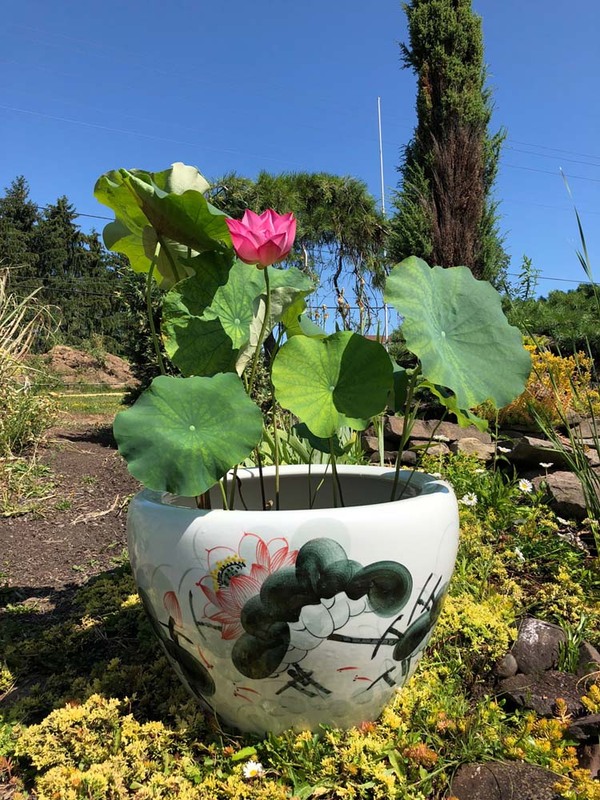 Micro lotus and bowl lotus are displayed in the appropriate porcelain or plastic pot. Several varieties of seed lotus and edible lotus are also grown. 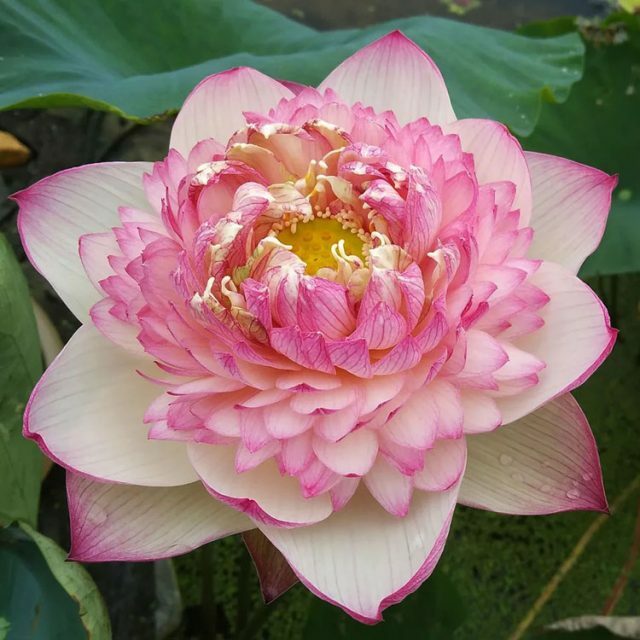 New varieties of lotus are added each year. 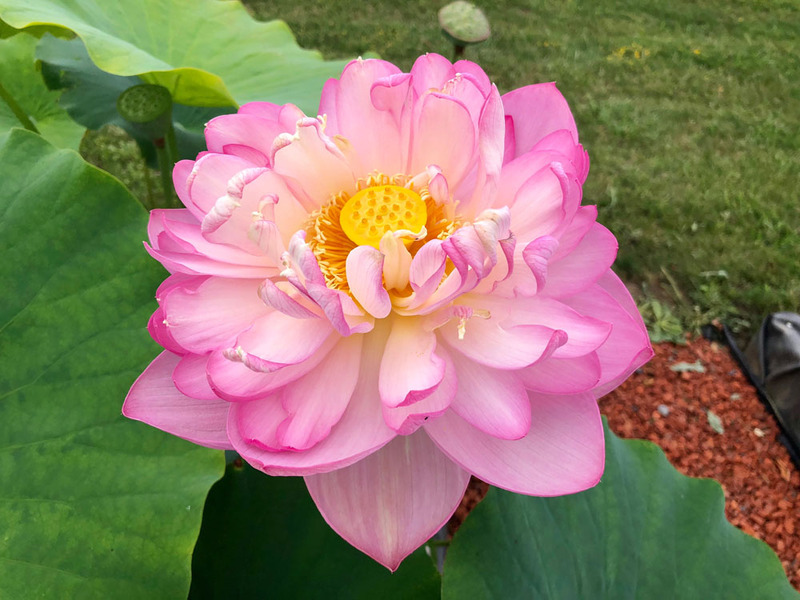 Scanning the QR code on each sign will provide additional information, pictures and videos.